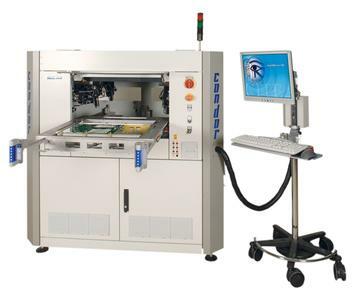 At the Dubai Airport Show 2012, Digitaltest GmbH, a leader in electronic test hardware and software solutions for assembled printed circuit boards, will showcase its latest solutions in manufacturing and test technologies. Visitors will are invited to experience our new applications in ICT, Functional and Flying Probe Test and technology-leading software tools. Equipment on exhibit includes Condor Flying Probe system -second generation, our state-of-the art Software offerings-QMAN Quality Management Software and CLINK DTM, as well as Digitaltest's Digitizer. Benchmarked as one of the world's leading events and the vital link to the airport industry in the Middle East, the Airport Shows' 12th edition is set again to provide key industry insights and expertise covering all aspects of airport construction, operations, technology and services. From showcased cutting edge technologies to an outlook of the regions' multi-billion dollar projects, the show provides unrivalled combinations of high-quality networking and business development opportunities all at one venue. Held under the patronage of His Highness Sheikh Ahmed Bin Saeed Al Maktoum, President of Dubai Civil Aviation Authority, Chairman of Dubai Airports and Chairman and Chief Executive of Emirates Airline and Group, the Airport Show is also supported by leading international industry associations and local government authorities. The Airport Show 2012 is now a biennial event; highlighting it more as a crucial milestone and must attend event for all professional in the airport industry. 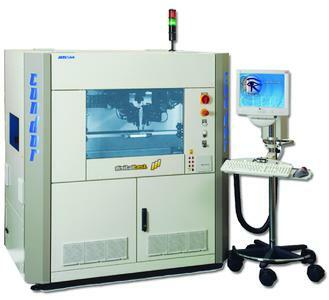 The MTS500 flying probe tester CONDOR captivates users with its remarkable versatility and flexibility. 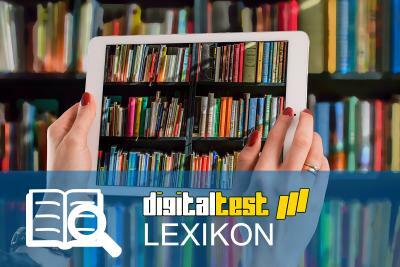 Apart from traditional ICT test routines, Condor is also capable of performing functional tests. 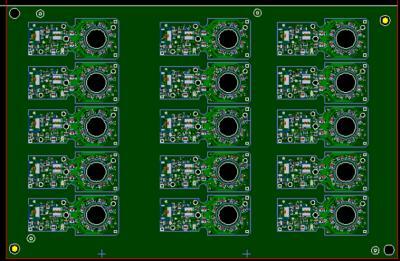 Tests of prototype boards and small batches are streamlined and cost-effective. Combining the flying prober with boundary scan, the benefits of both methods sum up to build a powerful test solution. Besides the classical in-circuit-test using four flying probes, functional tests using up to 1,012 fixed probes accessing from the bottom side are possible. These fixed probes can access the UUT using a simple magnetic probe bed or a 'simple yet sophisticated' vacuum operated adaptor solution. This solution is unique to THE CONDOR FLYING PROBER and offers a totally new usability for small production batches up to high volume. Parallel testing is now possible on the MTS500 CONDOR. While the classic flying probe test runs on a certain area of the machine, another process, like functional test or memory programming can run in parallel at the same time. This offers a new dimension of throughput, test coverage and effectiveness. Combining the benefits of flying prober with boundary scan creates a powerful test solution. Digitaltest's Condor flying prober permits functional tests using up to 1012 fixed probes accessing from the bottom side. The fixed probes can access the UUT using a simple magnetic probe bed or a sophisticated vacuum operated adaptor. Digitaltest offers a Reverse Engineering Service to help clients recover the design of a board and to be able to repair and/or re-manufacture the PCB's again. 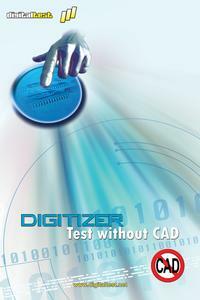 Digitaltest developed a specific tool for reverse engineering named Digitizer. With the help of the Digitizer the board data is re-created and all the connectivity is discovered. A CAD file for the board can then be generated that has all the board components and nets and that can be used in repair and/or re-manufacture. 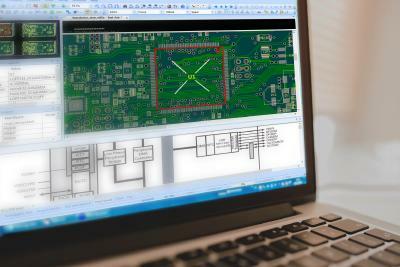 Digitaltest can also provide clients with the board schematics.